WELCOME FROM THE CORBETT EDUCATION FOUNDATION BOARD! Parts of this website have been updated for the 2018-2019 school year. 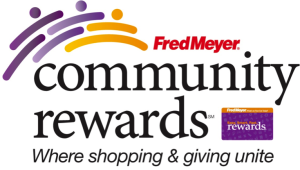 If you are interested in applying for one of our scholarships, it is especially important for you to review the Scholarship Section of this site. If you are interested in becoming a board member or are a potential donor, you may want to contact us via email at cef@corbetteducationfoundation.org. You can also reach us during most Monday evenings between 6:00 pm and 8:00 pm at 503-261-4252. In any case, thank you for your interest in our website. Please “like” us on Facebook!! 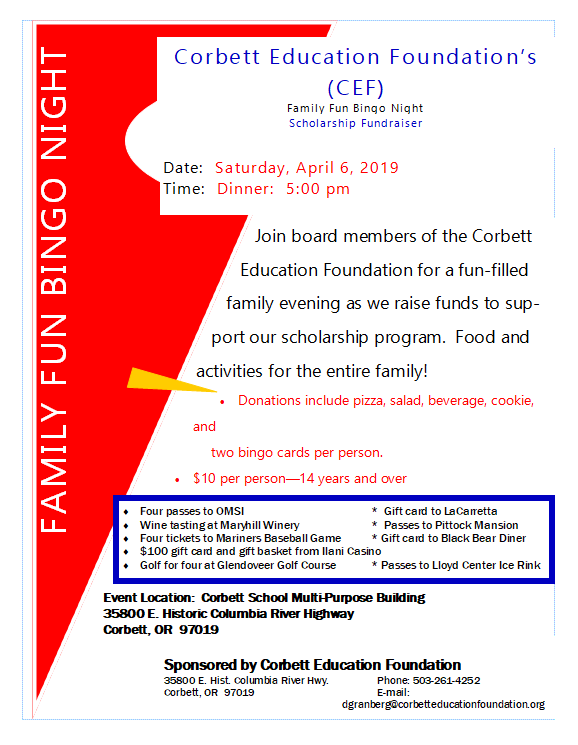 Join us Saturday, April 6, 2019 for an evening of food, fun and prizes! The Corbett Education Foundation Board of Directors would like to thank everyone who dined at The Original Roadhouse Grill on February 28th. Your participation raised money for our scholarship fund. We also thank the manager and staff of the Gresham Original Roadhouse Grill for providing us this opportunity to earn additional scholarship dollars. With great pride, the directors of the Corbett Education Foundation would like to introduce our newest board member, Tami Larsen. 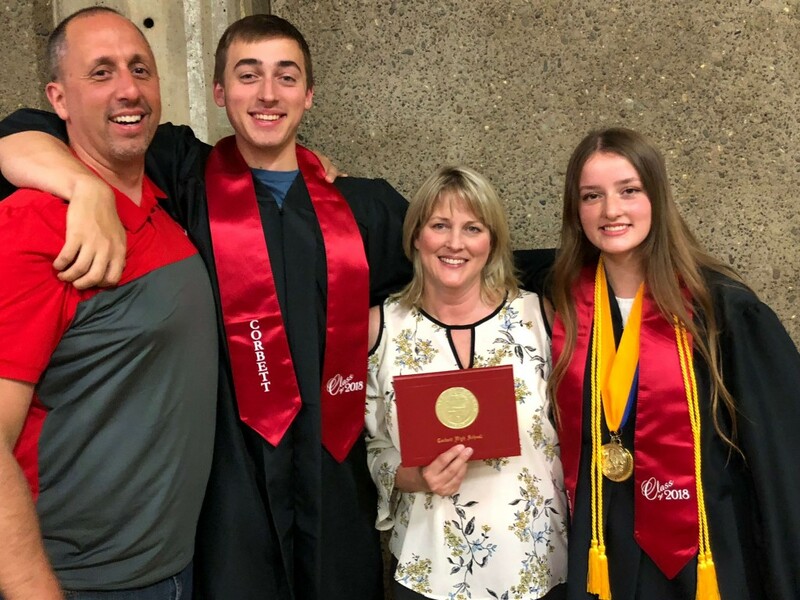 Tami began assisting CEF with fundraising efforts two years ago, but officially signed onto the board in August of this year following the graduation of her children, Skyler and Carter, this past Spring. We are pleased to introduce the 2018-2019 CEF Student Ambassadors. Each year, the Corbett Education Foundation selects a member of the current senior class to serve as a liaison between our board of directors and the graduating class members. This “Student Ambassador” assists with communication pieces between the seniors and the board, fundraisers, and other assorted tasks. This year we have selected two seniors to serve as our “Ambassadors” to better serve the needs of each group. Katie started attending classes at Corbett as a 4th grader. After middle school classes at CAPS, Katie is now a member of Corbett High School’s Class of 2019. Active in the Leadership Club for the third year, Katie is also co-editor of this year’s yearbook and is a member of the softball team. During the past three summers, Katie has volunteered at Trout Creek Bible Camp, which she describes as “one of my favorite places”. Some of her best loved activities include “hanging out with friends, being outside, and playing with my dog”. 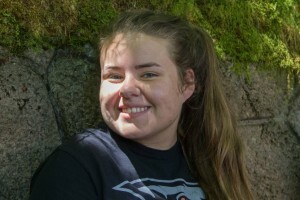 Katie’s future plans are to attend Oregon State University and she is “looking forward to being one of this year’s CEF ambassadors”. Bella describes herself as “a dedicated student athlete, playing volleyball (10 years) and tennis (3 years)”. With volleyball wrapping up for this year, she has been “having a good time playing my favorite sport with my best friends”. A Corbett student for seven years, Bella’s high school activities include Leadership Club and Hiking Club. She is also an Outdoor School counselor who enjoys “teaching kids about soil and bonding with my cabin residents”. In the summer, Bella works at “Purple Camp”, a national organization that provides military kids a week of camp experience with other children who are also learning how to deal with changes that occur in their lives due to the deployment and/or injuries that exist as part of a loved one’s military service. 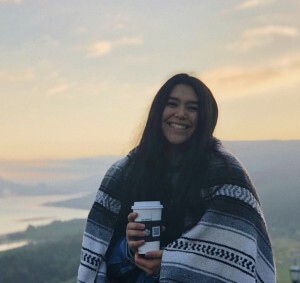 With plans to attend Washington State University where she will major in Marketing and double-minor in psychology and design, Bella is enjoying “making my senior year as memorable as possible”.